Jill Wheeler is the President of the Linton and District Historical Society.Her first degrees were in Arts and Social Studies at the Universityof Melbourne. After working as a social worker in Melbourne andthe United Kingdom, having children and studying creative writing,Wheeler returned to study English and History, completing a Bachelorof Letters with Honours in 1999. She completed a PhD in History in2009, on which Linton Makes History is based. 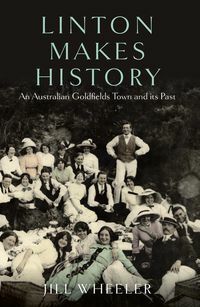 Wheeler was awardedthe Dennis-Wettenhall Prize for a thesis of merit in Australian Historyin 2009.